The footpath between University Parks and Edgeway Road where a baby's body was found. A NEW safety campaign in Marston has reached more than 450 signatures after a newborn baby was discovered dead on a footpath in the estate. So far, 463 residents have signed the petition to introduce street lighting and CCTV cameras for the footpath just off Edgeway Road. 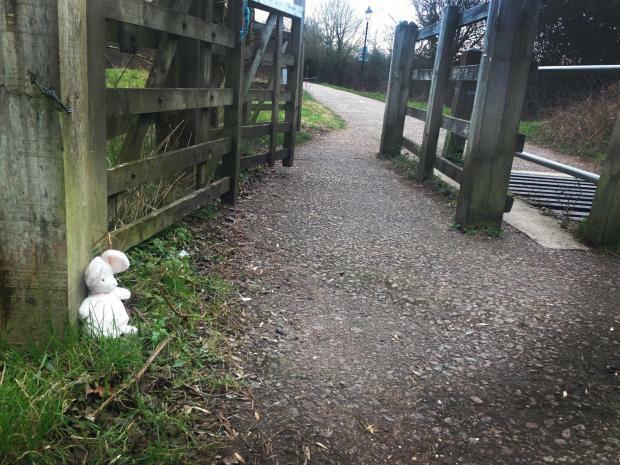 Thames Valley Police say it is still appealing to find the mother of the baby girl, whose body was dumped near to the path on the morning of Monday, February 29. Oxford City Councillor for Marston Mick Haines, who launched the petition, said he hoped these measures would help the community feel safer, should they be introduced. He said: "I'm really pleased that we've had so many people sign up so far and I want to try and get it up to 500 people. "I really would encourage anyone to come and sign up, whether they would like to call me for information or they want to go into the London in Williams Street in Marston." South Central Ambulance Service spokesman David Gallagher said the baby was pronounced dead on arrival with experts saying she had been lying in the bushes between one and three days before she was found. The police have stressed it is still their priority to find the mother, who they say may be in need emotional or physical help. A NEW safety campaign in Marston is growing in popularity after a newborn baby was discovered dead on a footpath in the estate. More than 200 residents and several councillors have signed a petition to introduce street lighting and CCTV cameras for the footpath just off Edgeway Road. 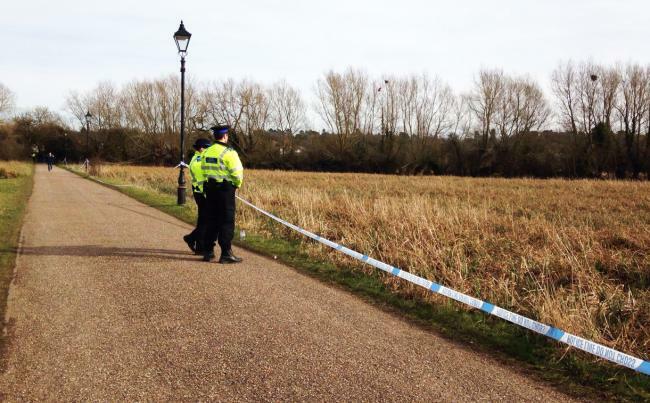 It comes as Thames Valley Police say it is still appealing to find the mother of the baby girl, whose body was dumped near to the path on the morning of Monday, February 29. Oxford City Councillor for Marston Mick Haines, who launched the petition, said the introduction of the safety measures was of the "upmost importance" and could prevent a repeat of such an incident in the future. He said: "I've had more than 200 people sign my petition in the past three days because I think people realise just how important lighting is in protecting people's safety after the baby was found on the footpath. "Not everyone is so keen on the idea of CCTV cameras, but everyone has agreed the introduction of lights is vital and I'm expecting about 400 people to sign it in total by Easter. "I would urge people to come and sign the petition, whether they call me or pop into the Londis in Williams Road." A mother-of-one from Marston, Yvonne Kimber-Gunn, agreed that more lighting would make residents feel safer in their community. 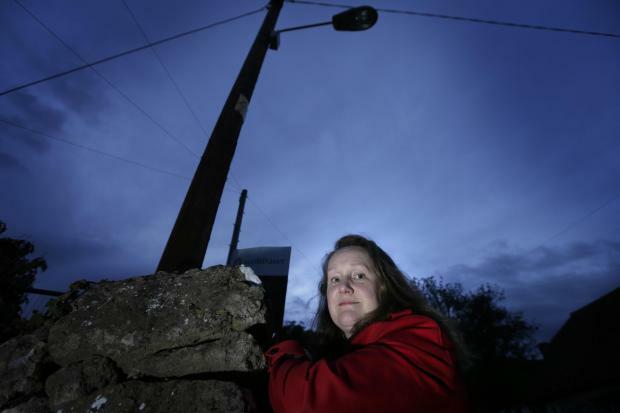 She said: "I support any attempt of having outdoor lighting along the footpath if it means an improvement in safety and I would sign any petition that would carry this out." Sarah Balaam of South Hinksey is concerned street lights won't have their bulbs replaced when they fail after council contractors pulled out. SERIOUS safety concerns have been raised after a contract dispute means broken streetlights are not being fixed across the county. The row could also see police unable to punish drivers breaking speed limits as it cannot enforce the law in streets where signs are no longer illuminated. SSE, the county council's former street lights maintenance contractor, used a 'break clause' in its deal with the local authority on April 1 this year. Since then, highway bosses have had to implement emergency measures, only repairing the county's 59,000 street lamps if they are left "dangerous", such as being knocked over or with electrical wires exposed. This includes about 3,600 that light up speed limit signs on roads. Oxfordshire County Council said the measures could be in place for as long as 18 months, but a spokesman claimed that was "a worst-case scenario". The change prompted concern from safety campaigner, with Mike Bristow, spokesman road safety charity Brake, saying: "Street lights going off in urban areas presents a serious additional risk to drivers. "Road signs, other cars and vulnerable road users become harder to see and react to. "Councils need to do all they can to ensure drivers can use road networks safely, this includes maintaining street lighting." Sushila Dhall, chairwoman of the Oxford Pedestrians Association, said: "It is a tricky situation, but street lights improve people's perception of safety and I would also have safety concerns about people walking being seen by cars and cyclists." And residents have expressed their worries that poorly lit streets could make people feel unsafe. Kennington Parish Council chairman Colin Charlett said the county council was not to blame but said the situation was "awful". He added: "I can't believe SSE can just pull out when the council has a duty – from a safety point of view – to make sure there is adequate lighting. "There are places where it is vital and so we would be very concerned about not being able to get lights fixed." South Hinksey Parish Council vice-chairman Sarah Balaam added: "It is dark enough in our village that most people carry torches already, and I would be worried about more lights going out. "On the other hand, there are some people who would also be happy if they were not fixed." North Oxford mum-of-two Leanne McClements, 41, said: "You expect to just be able to ring up the council and get these things fixed pretty quickly so I would be really concerned about not being able to do that. "It can get very dark, particularly when there's no moon and for longer in the autumn and winter, and people coming home from work or kids coming from school want to feel safe." Mick Haines, who is standing as an independent in Marston and has campaigned for street lights in the area, said: "Church Lane is dark and dangerous and we need lights there for safety reasons. 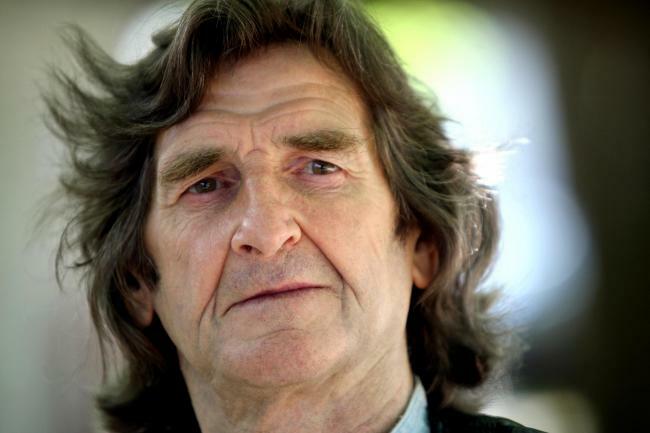 "The county council needs to get this problem sorted as soon as possible, it is scandalous." SSE demanded a 20 per cent rise on all its rates, other rises on 15 specific rates, a two-year extension on the contract and different methods to review its performance, a council report said. The company said it gave the county council 20 months' notice. But the local authority refused its requests, saying they were "unrealistic and not in the council’s interest", as well as against European Union rules. A council spokesman said: "We are working on developing a longer-term contract to minimise the interim period when emergency only repairs will take place. "It is very important to note that 18 months is the worst case scenario – we hope to have the situation resolved much sooner than that." The contract dispute could also delay a £13m scheme to modernise more than 4,000 street lamps in the county. A spokesman for SSE Enterprise Contracting said: "Following a commercial review of the terms of the maintenance contract, SSE Enterprise Contracting reluctantly exercised its contractual right to terminate the contract and in doing so, provided Oxfordshire County Council 20 months notice to make alternative arrangements." VOTERS in Oxfordshire will go to the polls in less than a month to choose a police and crime commissioner (PCC) and local councillors. Candidates for Thames Valley PCC were published yesterday along with those for council elections in three districts. 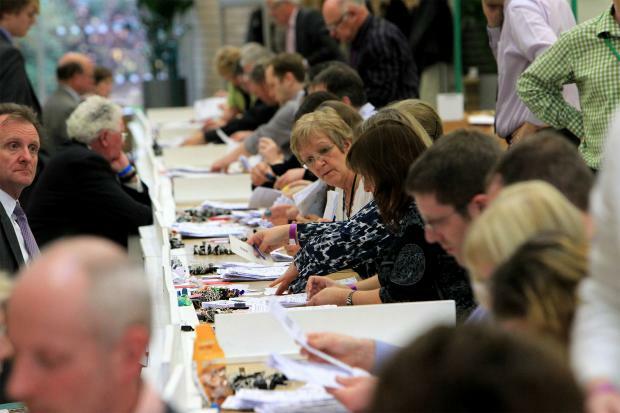 Voting will take place at polling stations across the county for the PCC on Thursday, May 5, with 89 district council seats also up for election in Oxford, Cherwell and West Oxfordshire at the same time. Residents who want to vote must register by Monday, April 18. This can be done at gov.uk/register-to-vote. Those who want to register may need to provide either a National Insurance number or their passport if they live abroad. The four candidates nominated for PCC are: Laetisia Carter (Labour Party), John Howson (Liberal Democrat), Anthony Stansfeld (Conservative Party) and Lea Trainer (UK Independence Party). It is the second time the Thames Valley will elect a police and crime commissioner, after the role was created in 2012. Mr Stansfeld currently holds the position. There are 41 PCCs across the country, who are responsible for holding police forces to account and cutting crime. Meanwhile in Oxford, there are elections across all 24 wards of Oxford City Council. Each ward will elect one councillor, half of the total 48 seats, to serve a four-year term. The Labour Party currently controls the local authority with 33 seats out of 48. 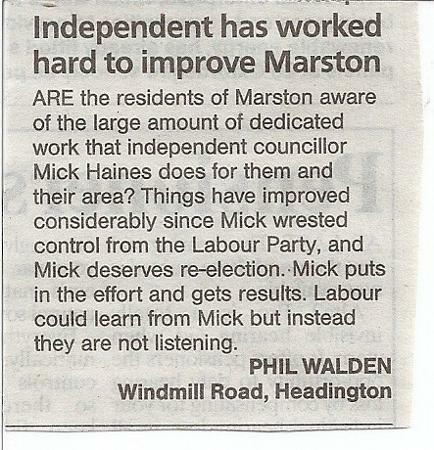 The Liberal Democrats have eight, the Green Party six and there is one independent councillor, Mick Haines. There are also 17 of the total 49 seats up for election on West Oxfordshire District Council, with all 48 seats on Cherwell District Council also up for election. Both these councils are Conservative-controlled. Readers can visit oxfordmail.co.uk for a full list of candidates by ward. The results of the elections will be published on Friday, May 6. There are no council elections taking place for Vale of White Horse and South Oxfordshire district councils, or Oxfordshire County Council.